Tekkie Pinas: BBM for Android and iOS has launched! BBM for Android and iOS has launched! Exactly a month after it was originally supposed to be available, BlackBerry has given word that BBMfor Android and iOS will FINALLY be launching today, over the next few hours. You can hit up Google Play and the App Store and will be able to download BBM as it becomes available in your region. 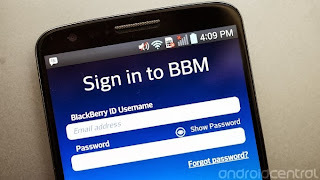 The only catch here is that you may not actually be able to use the app just yet if you haven't signed up at BBM.com. Check out the details below.